We’d love your help. Let us know what’s wrong with this preview of Double Cross by Beth McMullen. 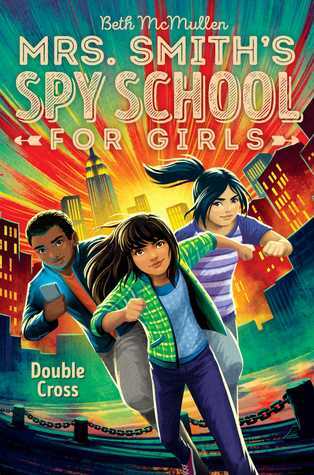 Shannon Hale’s Princess Academy meets Stu Gibbs’s Spy School series in the third book in the Mrs. Smith’s Spy School for Girls series. Abby and her classmates have all been invited to Briar Academy to participate in The Challenge, a prep school competition where teams compete for prizes and the glory of being the best of the best. While there, they figure out their nemesis, Shannon Hale’s Princess Academy meets Stu Gibbs’s Spy School series in the third book in the Mrs. Smith’s Spy School for Girls series. To ask other readers questions about Double Cross, please sign up. Beth McMullen lives with her family and an assortment of pets in Davis, CA. She writes for adults and kids. Look for Mrs. Smith's Spy School for Girls from Aladdin/S&S in July 4, 2017.